Engineering degree in electronics and communications, Cairo University, Egypt, 1977. Former CEO of Etisalat. On the board of the Emirates Foundation, Khalifa University, RAK Properties and RAK Bank. Bachelor’s degree in accounting, UAE University. Former CFO of Etisalat, advisor to H.H. Sheikh Saud bin Saqr Al Qasimi, and member of the Supreme Council. Board member of RAK Bank, RAK Insurance, and Dubai International Financial Centre. Ph.D. in Geology from University of South Carolina, United States, 1985. Chairman of RAK Cement and the International Center for Biosaline Agriculture. Former Professor of Geology at UAE University. Also a consultant for petroleum geology in the Middle East and North Africa. Ph.D. in Leadership and Educational Development from Colorado State University, United States, 2005. Member of the Federal National Council and General Director of Zayed House for Islamic Culture, Abu Dhabi Government. Previously a member of the Arab League’s Arab Parliament. 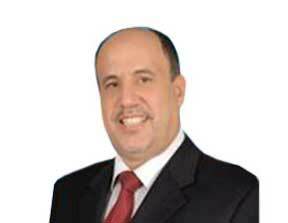 Mr. Mohammad Omran Al Shamsi was born in Ras Al Khaimah in 1953. After graduating from Cairo University, specializing in telecommunications and electronics engineering, he joined Etisalat in 1977, one year after its formation. Starting his career in the Engineering Department, by 2004 he had risen to the position of Chief Executive Officer. He became chairman and CEO in 2005. 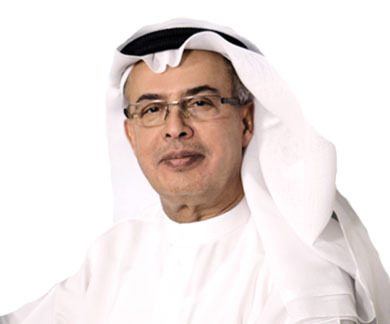 As chairman and CEO, Mr. Al Shamsi led Etisalat to its position as the Middle East’s largest operator and the third largest corporation in the Gulf Cooperation Council (GCC), with operations in fifteen countries in the Middle East, Africa and Asia. 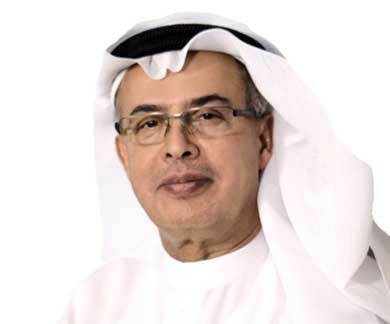 During his time with Etisalat which lasted 34 years until 2012, when he decided to retire, Mr. Al Shamsi participated in various project, including the digitalization of Etisalat networks, the establishment of satellite and submarine cables, extensive fiber optic networks, pre-GSM and GSM mobile networks, in addition to establishment of the ‘Thuraya’ satellite system where he was also chairman until his retirement. Mr. Al Shamsi represented Etisalat at various regional and international forums including Arabsat, GCC committees, Arab League Committees, and ITU conferences and committees. He has been awarded numerous times for his personal contribution to the telecommunications sector, including lifetime achievement awards from CEO Middle East, Abu Dhabi Economic Forum and the Middle East Business Leaders’ Summit, along with many more prestigious awards of recognition. Mr. Al Shamsi is also chairman or a board member of the Emirates Foundation, Khalifa University, Ras Al Khaimah Properties Company, and RAK Bank. In April 2013 a federal decree from the president of UAE was issued, appointing Mr. Al Shamsi as chairman and chancellor of the Higher Colleges of Technology. Mr. Al Shamsi holds an engineering degree in electronics and communications from Cairo University, Egypt, which he received in 1977. Mr. Al Sharhan has previously served as an advisor to His Highness Sheikh Saud bin Saqr Al Qasimi, Member of the Supreme Council and Ruler of Ras Al Khaimah. 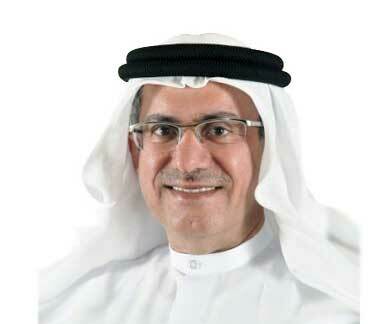 He currently serves as a board member at RAK Bank, RAK Insurance and Dubai International Financial Centre. He holds a bachelor’s degree in accounting (minor in business administration) from United Arab Emirates University, UAE. MEGE is a consulting company that produces exploration and production studies for the hydrocarbon industry in the Middle East. The company offers comprehensive petroleum geology reports on each country in the Middle East and North Africa, and can also provide basin data, as well as evaluation packages and studies on reservoirs and source rocks. These reports should prove invaluable to explorationists who require a comprehensive review and understanding of the potential of the area. The writers use all available open-file geologic data, representing the most comprehensive regional study available for the areas. The results of each study are synthesized into a comprehensive text and a series of figures. Ph.D. in Management from the University of Southern California, United States, 1994. Director of the Sheikh Saud Foundation for Policy Research, the Sheikh Saqr Program for Government Excellence, and Civil Service Department of Ras Al Khaimah. Board member of the Federal Authority for HR Employment and Development, the Emirates Association for Social Development, and RAK Ceramics. Dr. Mohamed is the director of the Sheikh Saud Foundation for Policy Research, the Sheikh Saqr Program for Government Excellence, and the Civil Service Department of the Ras Al Khaimah government. His expertise spans organizational excellence, organizational design and restructuring, human resources management and policy analysis, among several others. He has written extensively in his field and has been published in international journals. His research interests include human resource management, managerial decision making, quality management, performance measurement and management, organizational innovation and change, entrepreneurship, organizational behavior, and business strategy. Mohamed Khalifa is a member of the board of trustees of the Federal Authority for Human Resource Employment and Development, and a member of the board of directors of RAK Ceramics. 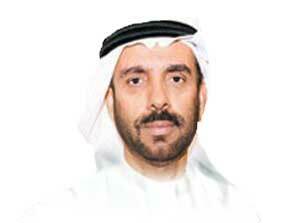 He is also vice chairman of the Emirates Association of Social Development. Naceur Jabnoun, chair of the Board of Trustees academic committee, is currently serving as senior advisor at the Sheikh Saqr Program for Government Excellence. 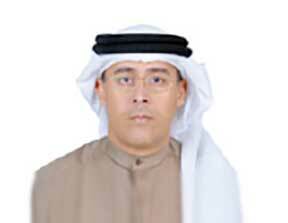 He is also a member of the Board of Directors of RAK Academy. He has served as panel chair and reviewer of academic programs for the QQA in Bahrain, and as a jury member for a number of excellence awards. Dr Naceur has led the development of several strategies, and has trained hundreds of excellence assessors in the UAE and Tunisia. He served as a faculty member and academic administrator in a number of universities, including IIU Malaysia and the University of Sharjah. He worked as advisor for the Sharjah economic excellence award where he developed a value-based excellence model. He developed an Islamic economic excellence model for the Dubai Economic Department, and has been involved in training and consulting in many countries including the U.S. and Malaysia. He also previously served as coordinator for the Management Research Group. Dr. Naceur has received a number of awards including the regional (Arab) Shoman Award, three best paper awards at academic conferences, and a university and community service excellence award. Dr. Naceur has authored books, including ‘Islam and Management’ and ‘Strategies: Bad, Good, and Innovative’, and has over 1,200 research citations. He has published extensively on TQM, service quality, and quality assurance in education. The international journals in which he has published include ‘Quality Assurance in Education’, ‘Quality Management Journal’, ‘International Journal of Quality and Reliability Management’, ‘Software Quality Professional’, ‘TQM Magazine’, ‘Managing Service Quality’, ‘International Journal of Management’, and ‘Knowledge Management Research & Practice’. His most recent publications were on knowledge management and quality of higher education, and government performance. He has reviewed research papers for many journals such ‘Management Decision’, ‘Quality Assurance in Education’, ‘TQM Journal’, and ‘The International Journal of Education Management’. He holds a master’s degree and Ph.D. from the University of Pittsburgh and a bachelor’s degree from the University of Minnesota. He is included in Marquis Who is Who in the world and in Scholar Universe. Ph.D. in Public Policy and Administration from the University of Warwick, United Kingdom. Currently an associate professor in the Department of Political Science at UAE University. Also director of the UAE University Center for Public Policy and Leadership. Research interests include public policy analysis, development of public administration, and quality of government. Dr. Ateeq completed his M.A. in Public Administration from the University of Southern California and a B.A. from UAE University. He is currently the director of the UAEU Center for Public Policy and Leadership. He has also held other academic positions; assistant dean for research and graduate studies at the College of Humanities and Social Sciences and director for the Ph.D. program. His research interests includes public policy analysis, the development of public administration, and quality of government. Dr. Nedal is currently a member of the Federal National Council and general director of Zayed House for Islamic Culture, Abu Dhabi government. Previously, Dr. Nedal served a member of the Arab League’s Arab Parliament. Between 2000 and 2006, she was a faculty member at UAE University and was a member of the accreditation committee, the technology development committee and the assessment and evaluation committee. Having obtained her Bachelor of Science in Computer Sciences at UAE University and a Master of Arts in Information Technology at Colorado State University, Dr. Nedal has also been published for her research on the role of technology in learning, and equal job opportunities between men and women within the GCC region. Ph.D. in International Relations from the University of Exeter, United Kingdom, 1986. Current president of the American University of Ras Al Khaimah. Previously Director General of the RAK Economic Development Department, Chair of the RAK Research and Follow Up Authority and advisor to the government of Ras Al Khaimah.